Tim Cook certainly seems to be an iPad Pro fan. As you'd expect. It’s exactly the kind of Microsoft bashing I’ve enjoyed from Apple for years, and would normally have me rushing to roll out my best “blue screen of death” jabs at the expense of those in Redmond, WA. The only problem is, I think the Surface Book looks much more exciting than the iPad Pro. Let me back up a little bit. I’m an iPad fan. I owned a first generation iPad back in 2010, and have owned several since then. I believe in the tablet form factor, and I completely understand that there’s an audience out there for whom the iPad is already the perfect laptop replacement. Case in point is my dad. My dad doesn’t use his computer for productivity apps. He’s not relying on it to run a business, or to play the latest games. He wants a computer that’s easy to use, that lets him check Facebook, look at photos, surf the Internet, listen to music, and maybe download the occasional app. In other words, he’s already an iPad convert. Whether he wants an iPad Pro is going to come down to whether or not he needs the bigger screen. There are lots of users like my dad around, but not enough. 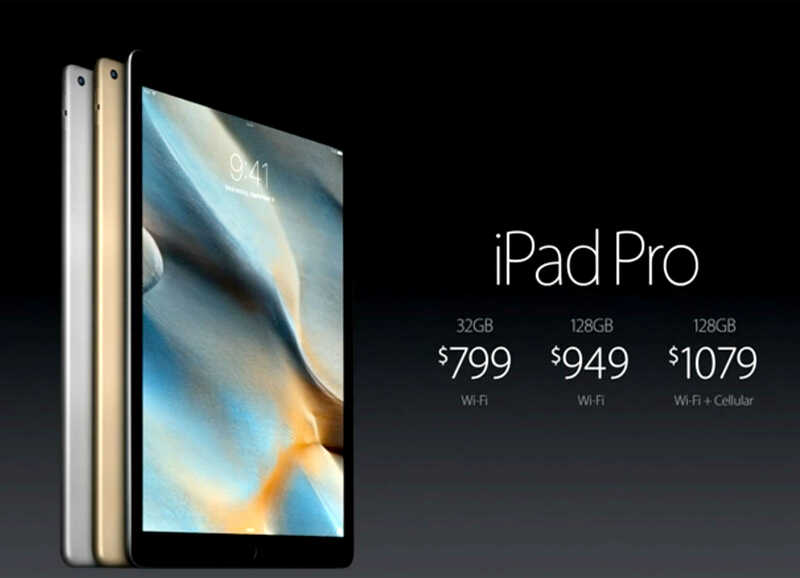 Apple’s iPad market is currently crashing. After a meteoric rise in its first 24 months, sales have fallen every quarter for the past few years. That’s no secret, and it’s something Tim Cook himself has acknowledged on numerous occasions — although always with the optimistic “the sun’ll come out tomorrow” spin that would take the form of an upbeat song if Apple’s earnings calls ever went the musical theater route. I’ve tried out different iterations of the Microsoft Surface since it first shipped. I liked the concept, but there was always enough to put me off the device. For all the joy of writing with a stylus, there was the negative fact that it had poor battery life and a so-so keyboard. Funnily enough, both of these are now complaints with the iPad Pro. 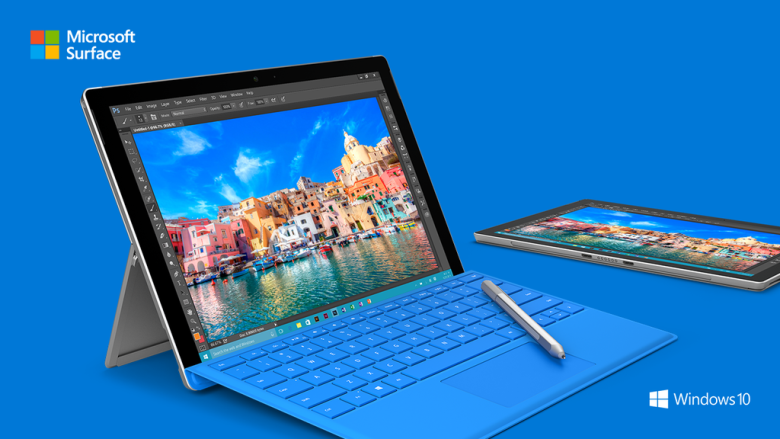 But the Surface Pro 4 looks awesome — and in many ways what I was hoping for from an iPad Pro. You can run full desktop apps, and you get what amounts to a proper laptop — with up to 16GB of RAM and 1TB of internal storage. Further up the food chain is the Surface Book — the same device Cook dismissed today as, “deluded.” At $1,499 it’s more expensive than the iPad Pro (more like a MacBook, really! ), but it looks like a game-changing stunner, with its snake-like “dynamic fulcrum” hinge, drool worthy Intel Core i5 and i7 processors, Nvidia GeForce GPU with GDDR5 memory, two USB 3.0 ports and an SD card slot. That’s what a real laptop replacement looks like. I don’t think Apple’s going broke in six months. I’m not packing my bags en route to Redmond, WA with a suitcase and a Bill Gates haircut to my name. I’ll definitely pick up an iPad Pro and wait to be wowed by its undoubtedly superior display, great sound quality, and whatever else, but — after all the build-up — is Apple really being outshone by Microsoft of all companies? Am I just jaded? Am I the equivalent of one of those people who complained about the iPod early on, only to look ridiculous a few years later? In some ways, I hope so. I want this to be the start of a great resurgence for the iPad. But it sure feels like Apple just massively underwhelmed everyone with the iPad Pro.